The coin is struck by The Perth Mint from 1oz of 99.9% silver in proof quality. 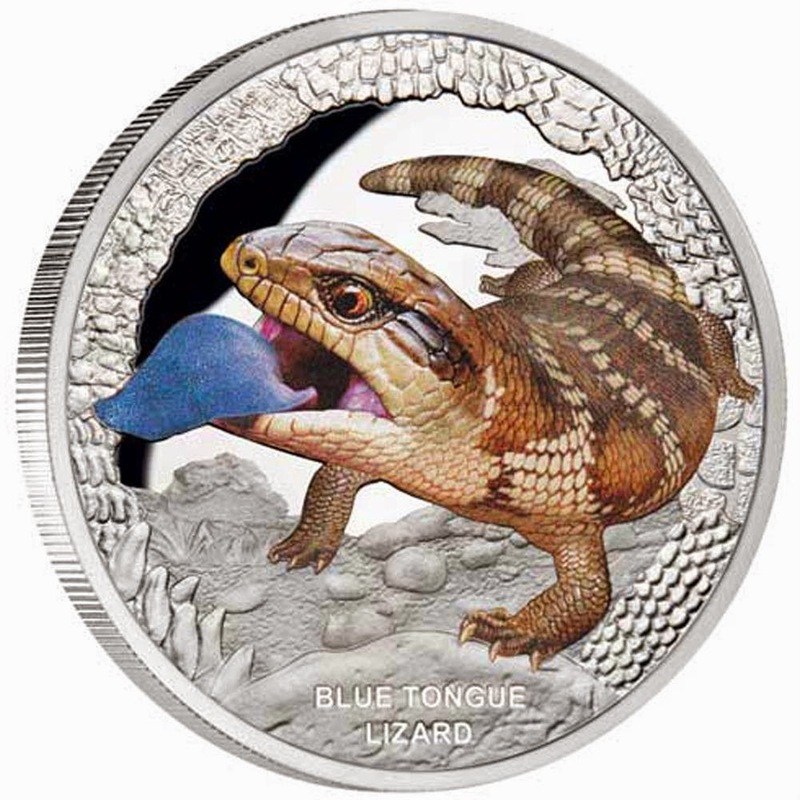 The coin’s reverse portrays a coloured Blue Tongue Lizard displaying its tongue, bordered by a montage of exotic reptile skin patterns. The design also incorporates the inscription BLUE TONGUE LIZARD. No more than 5,000 Australia’s Remarkable Reptiles – Blue Tongue Lizard 2015 1oz Silver Proof Coins will be available for sale worldwide. Issued as legal tender under the authority of the Government of Tuvalu, the obverse of the coin depicts the Ian Rank-Broadley effigy of Her Majesty Queen Elizabeth II, the monetary denomination and the 2015 year-date. The Blue Tongue Lizard is native to Australia and is recognised by its bright blue tongue and brownish grey scales. They are not poisonous and can often be found living peacefully in the same backyard for years, conveniently consuming slugs and snails and sunning themselves by the backdoor, or out under the clothesline. These slow-moving creatures are found in just about every part of Australia: on the coastal plains; in the mountains; in rainforest; deserts and at least one species is found in every Australian capital city.